The Vietnam Chamber of Commerce and Industry– Ho Chi Minh City Branch (VCCI-HCM) on March 19 collaborated with Taiwan External Trade Development Council (TAITRA) to hold a conference on Taipei International Food Show 2019 and a business exchange between Vietnam and Taiwan (China). 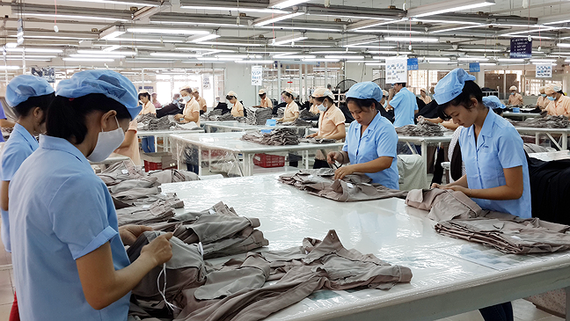 According to VCCI-HCM, two-way trade turnover between Vietnam and Taiwan exceeded US$16.3 billion last year, up 7 percent compared to the previous year. In January this year alone, two-way trade turnover between the two sides already reached $1.5 billion. Vietnam mainly exports cell-phones, seafood products, footwear and garments to the Taiwanese market. Meanwhile, Taiwan usually has great demand for foodstuffs and goods to serve tourists and its people. Therefore, it is a potential market for agro-forestry-aquatic products of Vietnam.